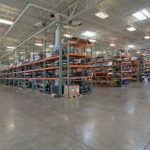 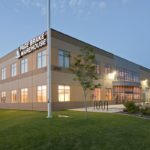 With Big-D’s assistance, Page Brake recently expand their Salt Lake City headquarters and warehouse capabilities, doubling the size of their previous location. 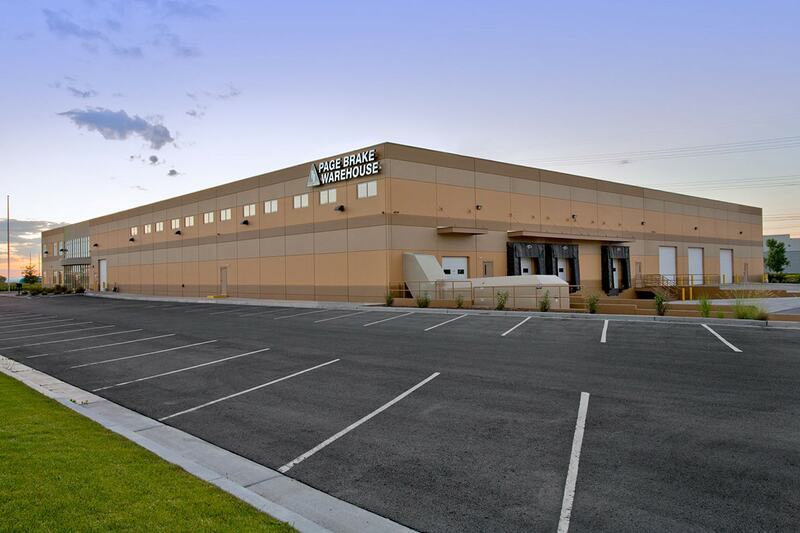 Established in 1946, Page Group manufactures and distributes heavy duty truck brakes and parts across the United States. 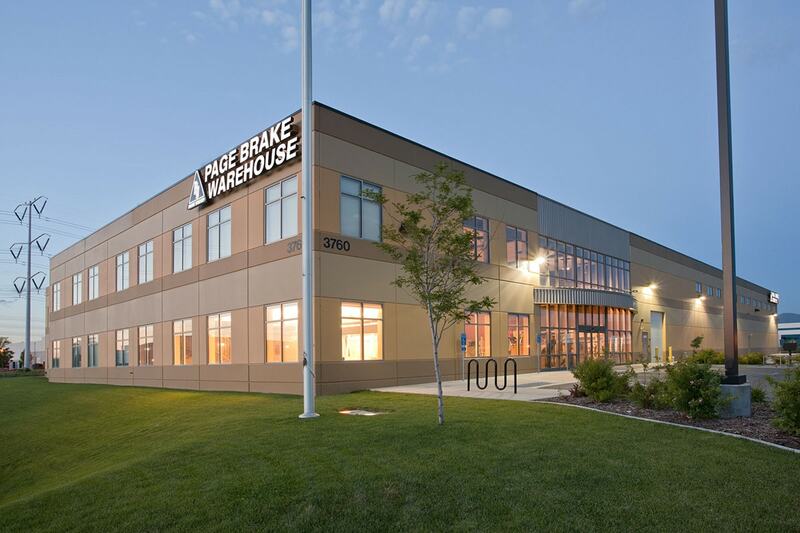 With Big-D’s assistance, Page Brake recently expand their Salt Lake City headquarters and warehouse capabilities, doubling the size of their previous location. 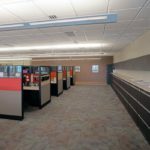 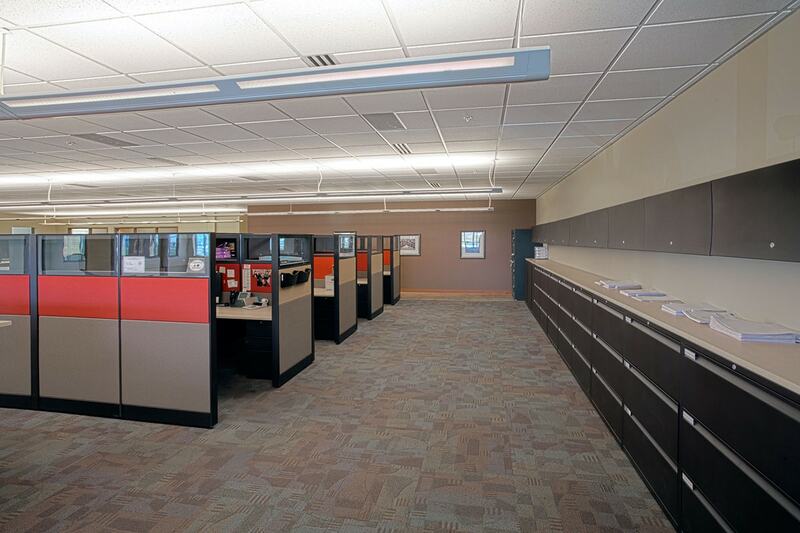 Built from concrete tilt-up panels, this replacement facility consisted of 50,000 square feet and includes a two-story mezzanine with sales offices, corporate offices and two conference rooms. 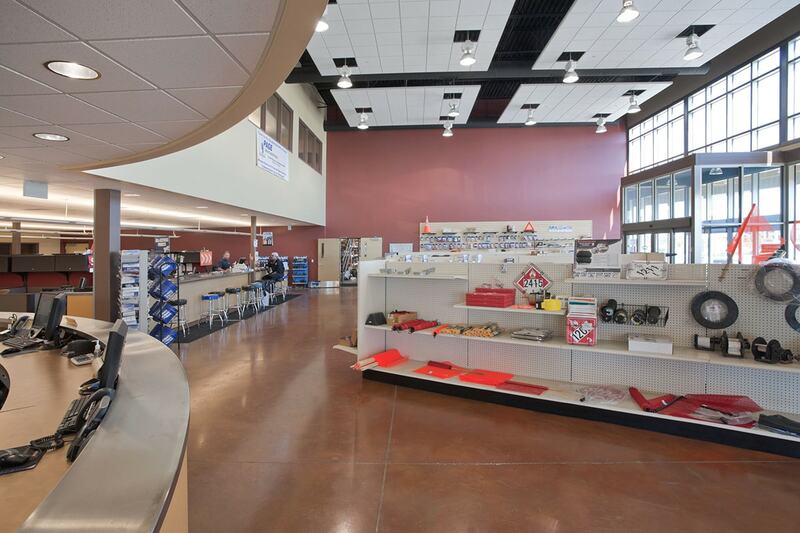 Floor-to-ceiling windows and an expansive polished concrete showroom floor greet visitors as they enter the facility. 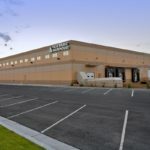 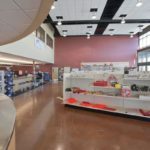 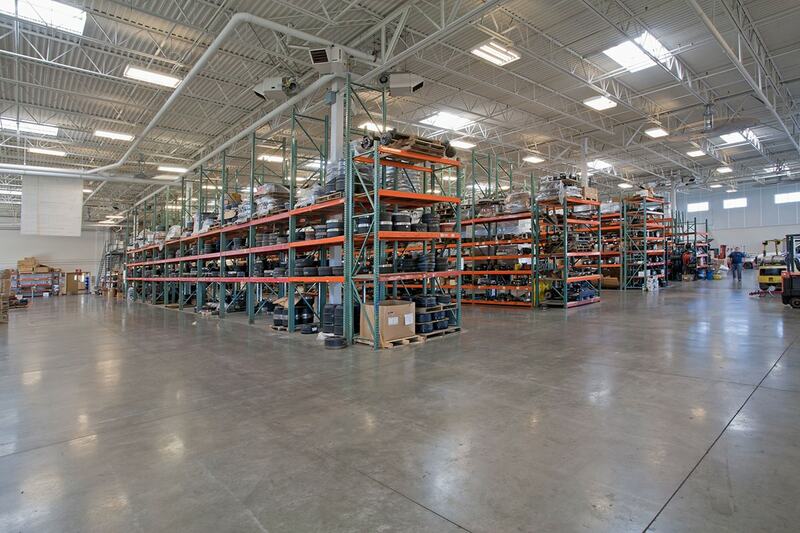 Adjacent to the offices and showroom is a 39,000-square-foot warehouse and distribution center. 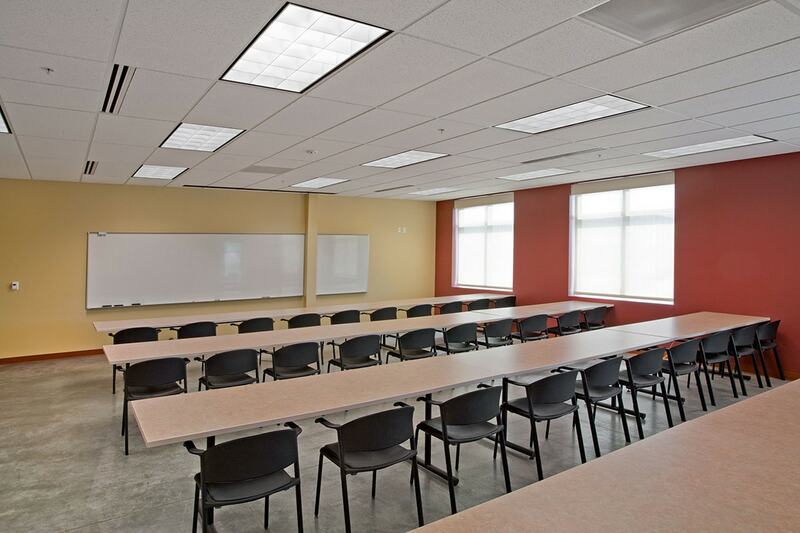 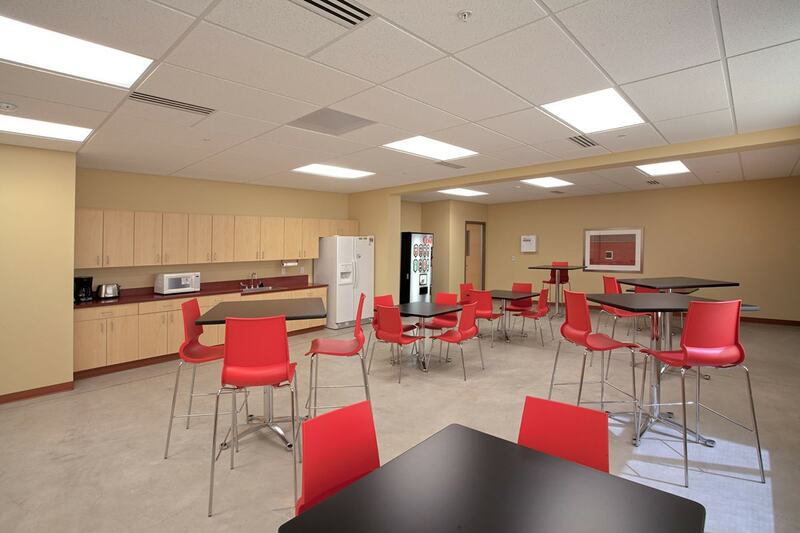 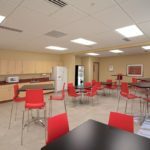 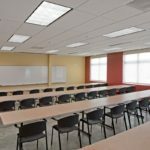 Keeping in line with Page Group’s mission statement by “creating an optimum environment for employees,” the project also included the construction of a fitness facility with men’s and women’s locker rooms and showers, as well as employee breakrooms.